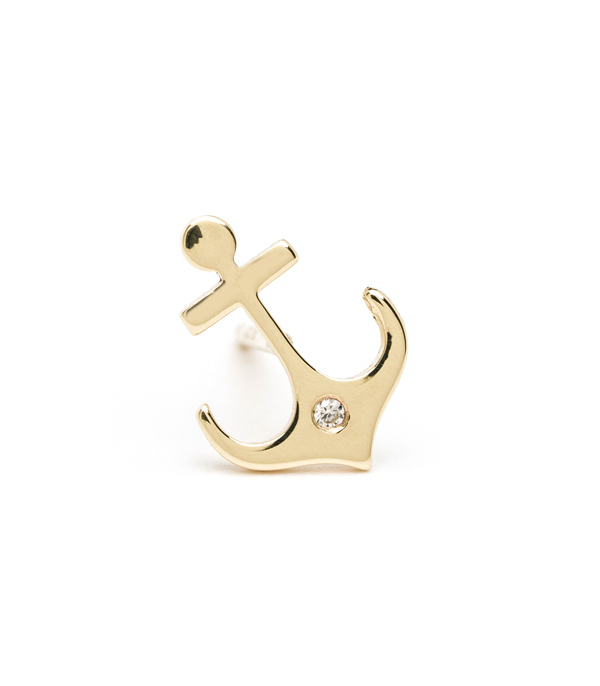 Both a symbol of a journey’s end and a classic sign of strength and stability, our petite diamond anchor earring single is a perfect reminder of the grounding power of friendship and love. 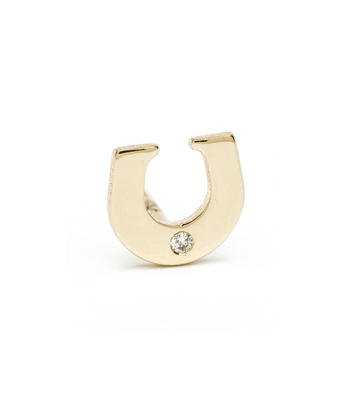 Our anchor stud earring is a lovely talisman to wear as you move through the sometimes rough waters of everyday life and be reminded of the strength that lies within. 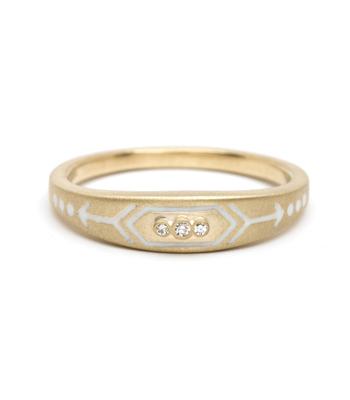 Half the fun with earring singles is creating unique messages with the symbols you pair together. 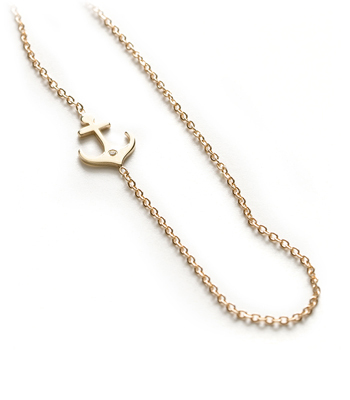 We love this anchor earring worn with our shield ear thread. 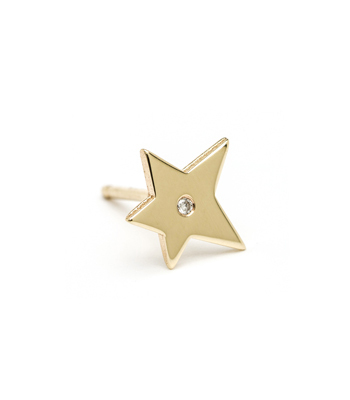 These mini studs would make a wonderful gift for someone in your life who needs a little reminder that there is someone in their corner. 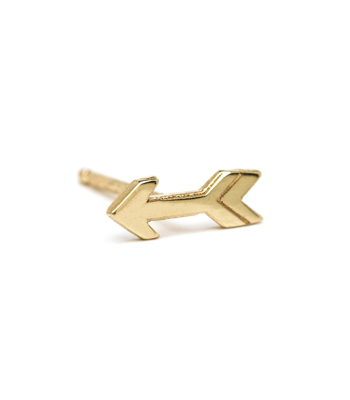 Give a pair of these talisman singles to create a secret message to your bff! 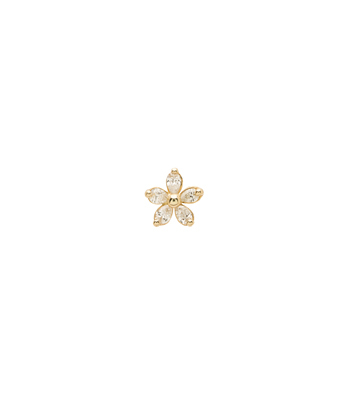 This mini 14K yellow gold and diamond anchor earring is sold individually, not in a pair, and is hand made by our artisan jewelers in Los Angeles.